As the years pass, I grow even more disillusioned with the films of Austrian auteur Michael Haneke (Funny Games, Amour) and cannot decide whether or not I hate his work more than I enjoy it, but, at the very least, his cinematic works—for better or worse—act as an ominous and foreboding expression of the (dead) Germanic soul and collective unconscious, which was already quite apparent in the filmmaker’s debut feature-length film The Seventh Continent (1989) aka Der siebente Kontinent. 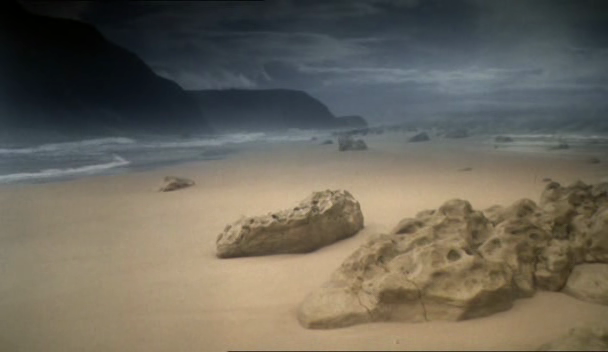 To be fair, Haneke already had worked in theatre and made a number of TV movies before his theatrical debut, yet one must admit that The Seventh Continent is a rare example of a novice filmmaker who had already developed a cinematic Weltanschauung for all his films to follow in his decided disdain for bourgeois life, condemnation of the Hollywoodization of Europa, acknowledgement of the existential crisis of the Faustian soul, and uniquely unsentimental and uncompromising depiction regarding the cultural, religious, and social stagnation of the world. Whereas the scatological subversives of Viennese Actionism made it their innately iconoclastic goal to destroy all traditional mores, culture, and religion of Austrian society, Michael Haneke’s works act as sort of minimalistic and materialistic postmodern postmortem celluloid autopsies of Austrian society, thus it is only fitting that the filmmaker’s first feature The Seventh Continent stagnantly chronicles the slow and grating suicide of a middle-class Austrian family. Taking its title from Australia—the seemingly luxurious and magical continent the ill-fated Austrian family lies about moving to in a letter (they opt for suicide instead)—The Seventh Continent is based on a true story that director Michael Haneke read about in the newspaper. 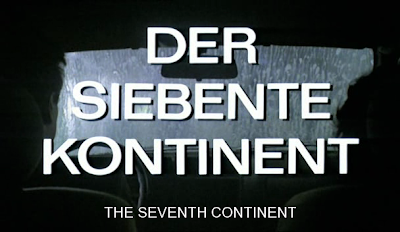 An alarmingly audience-antagonistic film from its intentionally banal beginning to its quasi-anti-climatic climax, The Seventh Continent is essentially a paradoxically penetrating yet prosaic piece of anti-bourgeois aesthetic terrorism created by a self-loathing member of the bourgeois that was carefully crafted to infect the viewer with the same sort of metaphysical misery that eats away the film’s characters and, quite arguably, the director himself. 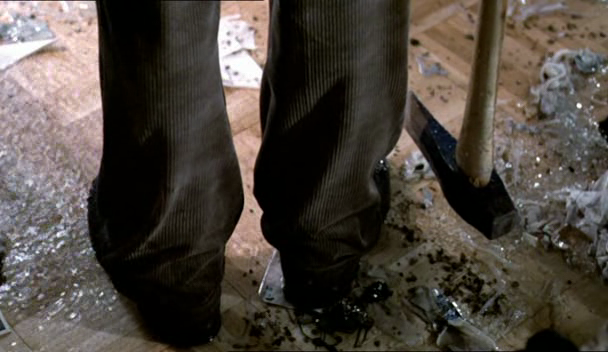 A fundamentally anti-Hollywood work that acts as a sort of anti-escapism to the celluloid escapism of capitalistic culture-distorters like Steven Spielberg and even Quentin Tarantino, The Seventh Continent is essentially semi-abstract celluloid preaching without words that somewhat sadistically slaps the viewer across the face with the more than bitter and never sweet taste of reality, but never offers answers for the crisis of the modern Occidental world. The first chapter in Michael Haneke's “Glaciation Trilogy” (which was followed with Benny's Video (1992) and 71 Fragments of a Chronology of Chance (1994)), The Seventh Continent is nothing less than the first big statement by the filmmaker on the Austrian apocalypse, which was essentially prophesized by Austrian commie-feminist Jewess novelist/playwright Elfriede Jelinek and followed by associated filmmakers Franz Novotny (Exit... But No Panic, Die Ausgesperrten aka The Excluded), Paulus Manker (Schmutz aka Dirt, Weiningers Nacht aka Weininger's Last Night), Ulrich Seidl (Dog Days aka Hundstage, Import/Export), and Michael Glawogger (Slumming, Whores' Glory). 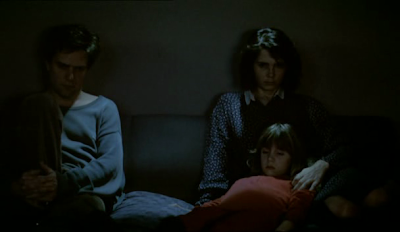 Divided into three chronological parts (1987, 1988, 1989), The Seventh Continent follows the slow burning and marvelously monotonous self-destruction of the Austrian middle-class Schober family from Linz comprised of a husband Georg (Dieter Berner), wife Anna (Birgit Doll) and young grade school daughter Evi (Leni Tanzer). 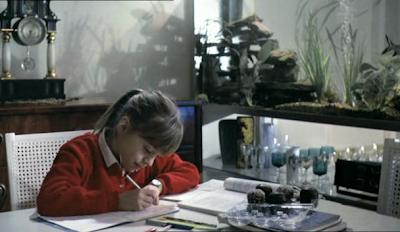 By the end of the film, the entire family will be dead after the parents decide to kill their daughter—a brunette Heather O'Rourke-look-a-like—and subsequently themselves after existence becomes unbearable for these individuals suffering from sort of ungodly and all-consuming existential hell of no return. They may hate their lives but the Schobers are certainly not losers but an upstanding and seemingly normal middle-class family, as George is an engineer and Anna is an optician who co-owns an eye doctor business with her brother. Like most Haneke films, The Seventh Continent begins with a slow start where the viewer rarely gets a glance of the characters face for about the first 30 minutes of the film, only focusing on the banality and robotic-like nature of their devastatingly ordinary day-to-day lives, including riding through car washes (the very first scene in the film), brushing their teeth, making/eating breakfasting, doing homework and other daily rituals. The signs of familial meltdown are illustrated in minor moments of melodrama, including mother/wife Anna having an emotional breakdown while riding in a car through a carwash and daughter Evi lying to her teacher that she has randomly turned blind in what is undoubtedly a cry out for help to her optometrist mother that ultimately ends in further distancing and coldness between mother and daughter. After Anna learns about Evi’s lie, she confronts her daughter, asking her, “Look at me. Come on, tell me, did you pretend to be blind? Come on, tell me. I just want to know the truth. Come on. Don't be afraid, I won't hurt you. Is it true? Did you pretend to be blind?,” but when the little lady admits the truth, her mother maliciously smacks her in the face, thus further dividing the two. 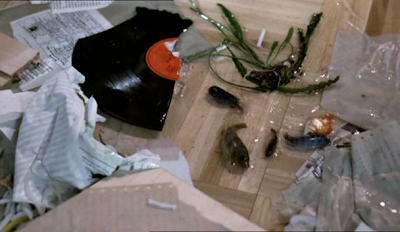 In another telling family moment, Anna’s brother Alexander (Udo Samel), who has previously stayed at a mental institution due to his debilitating depression, eats dinner with the family and, for seemingly no reason, begins to cry in what seems to be, aside from a cry out for help, an impotent expression of a man who knows something is not quite right with his sister’s family and feels totally powerless to help. Undoubtedly, powerlessness, impotency, and soullessness in the face of a contrived and seemingly pointless bourgeois existence ultimately seem the biggest contributing factors for the characters' inevitable self-designated date with death. In describing The Seventh Continent and his rationale for creating it, director Michael Haneke stated the following, “Every day we read stories about family tragedies. Every day families take pleasure in their alienation, contenting themselves with information and a life on the cheap. Every day they have less to decide about and hate themselves for their fear. Every day they suffer more from their lives. Every day many of them wear themselves out fighting this fact. Every day they speak less and laugh louder. Every day they become more perfect. Every day the gap widens between human beings. Every day they feel they need to make a decision in order to be able to breathe. This film is a chronicle, an account of these decisions. It does not intend to bear any judgment. It knows no answers. It questions the causes.” Indeed, luckily Haneke does not have any sort of outmoded Marxist answer, even if the ‘causes’ were probably similar to those that inspired West German students to rebel in 1968 and terrorism to become vogue not long after. Personally, I do not think Haneke is willing to accept why Austria, like much of Europe, has become such a culturally vapid and soulless place that inspires people to commit suicide because it would force the director accept the fact that Germanic national kultur, customs, and religion essentially ended in 1945. In the filmmaker’s later anti-Heimatfilm The White Ribbon (2009), Haneke stereotypically portrays a traditional religious Germanic upbringing as exceedingly evil, but such cultural ingredients were the things that made things worth living for people in the past. Like the Hollywood films and bourgeois culture Haneke cinematically condemns, the director’s films, not least of all The Seventh Continent, are lacking in soul and spirituality, thus making them every bit a symptom of the same degenerate cultural malaise, albeit minus the entertainment value. It is very telling regarding a filmmaker and his outlook on his native middle-class when his characters only become interesting and remarkable when they opt for committing suicide, as if only in their tragic deaths do the Schober family of The Seventh Continent derive meaning from their pitiful lives, but I guess that is Haneke's message (or lack thereof). 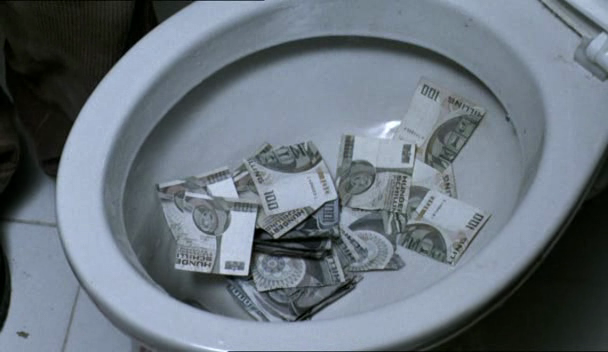 Featuring a number of (intentionally) unbearably long scenes, including a still shot of the Schobers flushing their money down the toilet (sorry Haneke, but I did not find the scene to be taboo/terrifying, but just banal), The Seventh Continent is essentially Haneke's would-be-ingenious way of letting everyone know that he has more insights about the capitalist west than any Hollywood director as a morally superior nihilist prophet who surely knows how to criticize in an exceedingly smug manner, but ultimately has no answers as he has stated himself in his quote, “My films are intended as polemical statements against the American 'barrel down' cinema and its dis-empowerment of the spectator. They are an appeal for a cinema of insistent questions instead of false (because too quick) answers, for clarifying distance in place of violating closeness, for provocation and dialogue instead of consumption and consensus.” Of course, Rainer Werner Fassbinder did not have many answers either, but he had many insights and certainly knew how to entertain, even when driving a figurative stack into the viewer's heart, which I certainly cannot say the same about Haneke. 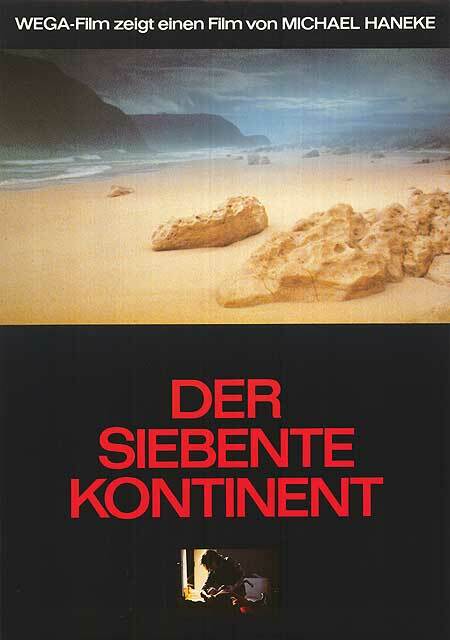 Compare The Seventh Continent to the similarly themed Der Kopf des Mohren (1995) aka The Moor's Head (which Haneke wrote the screenplay for and was originally supposed to direct) and one gets a good idea of Haneke's innate soullessness as a heckling yet paradoxically pedantic auteur who thinks he knows the truth, but probably knows less about life and human nature than the average cop, serial killer, or failed Austrian artist turned politician. I just watched a few clips on YouTube, she did look a little bit like Heather but she didn`t have Heathers astonishing beauty. This was released in May of `89 so filming must`ve taken place sometime in `88, i wonder if Leni knew that Heather had snuffed it just a few months earlier ?. I couldn`t find out anywhere when principal photography on this movie took place, so maybe it was one of those movies that was filmed a couple of years before the actual release. If it was made anytime before Feb 1st 1988 Heather would`ve still been alive, which would make the connection to sweet little Leni Tanzer even more magical. Ty E, all i really noticed when i read this reveiw was the name "Heather O`Rourke", everything else literally fades into nothingness when compared to the magic of Heather, i`m sure Leni Tanzer would agree ! ! !. Ty E, know its just your opinion, but were you implying with the last 3 lines of this reveiw that Michael Haneke is essentially just like Jervaise Brooke Hamster ! ?. Ty E, apart from the lovely little Leni, does "The Seventh Continent" really matter ?, i dont think so, all that matters is "Poltergeist III" and the even lovelier Heather, you know that my old mate ! ! !. Ty E, when i read the phrase "a brunette Heather O`Rourke-look-a-like" is was one of the most magical mo-girl-ts of my sad, pathetic, desperate, broken little life ! ! !. Cheers my old mate. Ty E, i keep trying to re-read this reveiw so i can perhaps understand it more, but i just keep gravitating back to that magical line "a brunette Heather O`Rourke-look-a-like" and re-read that over and over again instead, i suppose that proves i`m not really interested in the films of Michael Haneke (except for the stunning Leni obviously). My life revolves wholly and exclusively around Heather as you well know.